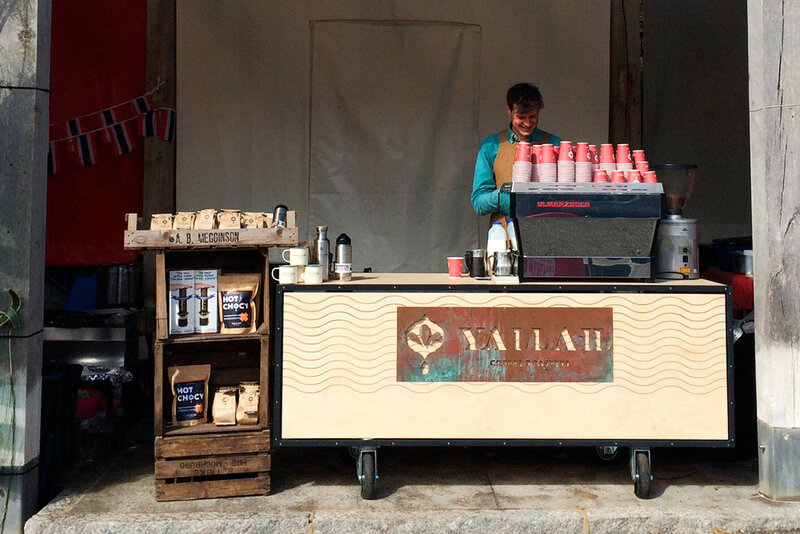 Yallah Coffee Roasters are a speciality coffee roasters based in Falmouth, Cornwall, supplying single origin coffee to cafés and restaurants all over the UK. They also pull coffee for crowds at festivals and events, and needed a heavy-duty branded mobile coffee bar for when they go on tour. Cord worked with Felix McCormack and Apply Works to build their rolling barista bar.